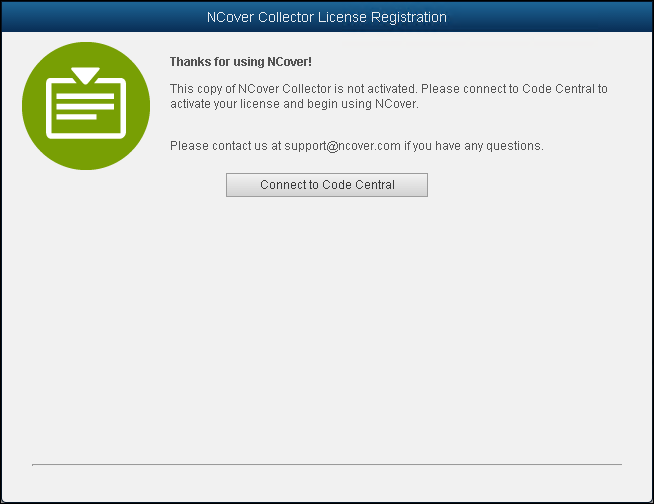 After an instance of Collector is installed, logging in to the application for the first time will display the registration screen. Code Central Server Name -- Enter the address of the local host and the port for the Code Central server, which defaults to 127.0.0.1:11233 at installation. Click on Login and Activate and Collector will contact the Code Central server. If the connection info is valid and the COde Central service is running, a success message will display.